What’s So Great About Pittsburgh? This guest post was contributed by Real Estate Experts, your source for expert advice on Hillsborough realty. If we asked you to name a real estate destination for young people, you’d probably come up with a few names. Metropolitan mainstays like New York City and Downtown Los Angeles, epicenters of hipster cool like Portland and Austin, and more recent hotspots like Brooklyn and Oakland. Pittsburgh, Pennsylvania probably wouldn’t top your list. However, the City of Bridges has become one of the top national destinations for first-time homebuyers looking to settle down and purchase residential real estate. Market trends, infrastructure investment, and economic expansion have combined to make this former midsize industrial city an oasis for younger couples. In this post, we’ll take a look at the factors that make Pittsburgh so appealing – assets that may shape residential real estate markets in your area. San Francisco is a dream city for a lot of people, but who can afford to live there? The median price for a home in the shadow of the Golden Gates is more than $1.5 million dollars, and median rent for a one-bedroom apartment is nearly $3,500 per month – actually a slight decline from last year! San Francisco is an outlier, but even slightly less exorbitant cities like Boston and Los Angeles represent huge financial outlays for renters. These monthly costs can feel extremely burdensome, especially for couples who are looking forward to home ownership. If you have to spend seventy-five percent or more of your income on rent every single month, how can you possibly store up enough money for a down payment? And even if you could sock away the thousands of dollars you’d need to establish a stake in your own home, could you hope to purchase any residential property in your own neighborhood? Median rent for a one-bedroom in Pittsburgh is just $1,100 per month. This might seem expensive in comparison to smaller towns and rural areas, but it’s a significant savings in comparison to many major metropolitan areas. Pittsburgh’s smaller size and more compact layout also represents a significant savings – as do the relatively low prices of amenities from cocktails to concert tickets. Even add-ons like a parking space – hundreds of dollars a month minimum in congested cities on the coasts – represent relief for the monthly budget. Many large coastal cities have fought to maintain central parklands for residents to enjoy, but some smaller cities, especially cities that saw major expansion during the industrial age, lack substantial access to natural outdoor spaces. This can represent a quality of life concern, especially for younger people who want spaces to walk their dogs, ride their bikes, and explore nature. 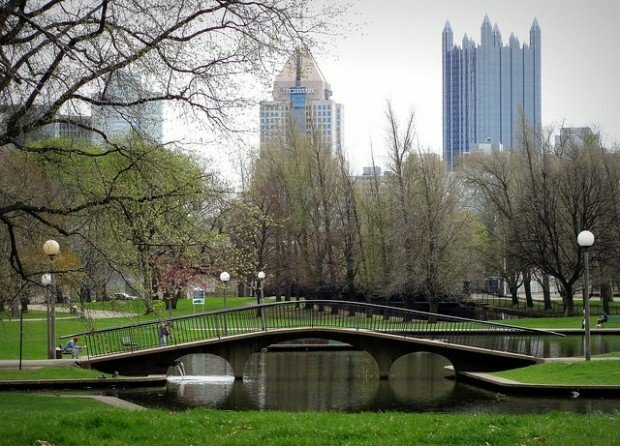 Pittsburgh has leaned hard into greening its residential and commercial neighborhoods, and as a result, the city is honeycombed with parks, bike paths, and walking and hiking trails. These spaces cut down on the need for cars, a powerful advantage to younger people concerned with protecting the environment and work-life balance. Offering opportunities to interact with the urban environment also gives new residents the chance to “buy in,” exploring the city on their own terms at ground level. Pittsburgh also offers possibilities for social mobility. Its smaller size and dynamic population growth offer possibilities for professional networking. Residents claim that it’s much easier to connect with people and opportunities than it would be in a larger city with more established social networks. Pittsburgh’s growing economy and commitment to civic investment offer additional promise, allowing younger transplants to seek volunteer and employment opportunities in the civic sector. Pittsburgh’s welcoming, flexible economic climate also makes the city an attractive place for startups – and its affordable rental climate extends to the commercial sector. 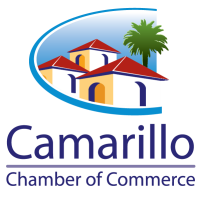 Someone hoping to start a business will find a much more hospitable atmosphere for a small storefront operation, a boon to startups that can be decisive for businesses still seeking to establish a foothold in a new area. San Francisco is a lovely city – the streets that wind through switchback after switchback to climb the city’s famous hills, the scarlet bridges that define the city’s skyline, the Victorian-era “painted ladies” that outlasted the 1906 earthquake – but its appeal is more than the sum of its parts. People move to San Francisco because it’s a fabled city – like Los Angeles and New York, it holds a place in our national imagination. Pittsburgh’s reputation is a bit more nuanced, but its days as America’s Steel City has given it a strong sense of self. This translates to strong appeal for younger couples thinking about putting down roots in a new city. Nobody likes to feel like they’re trading a cool neighborhood for a dull one – on the other hand, the chance to discover a hidden gem is captivating. Pittsburgh’s rich local history, strong sense of community, and resilient civic spirit make attractive to younger people who want to feel like they’re investing in a community. Pittsburgh is reinventing itself as a nexus of economic opportunity and vibrant local culture. Look for similar trends in other smaller cities in the United States, as younger homebuyers look for new places to put down roots and establish homes of their own.